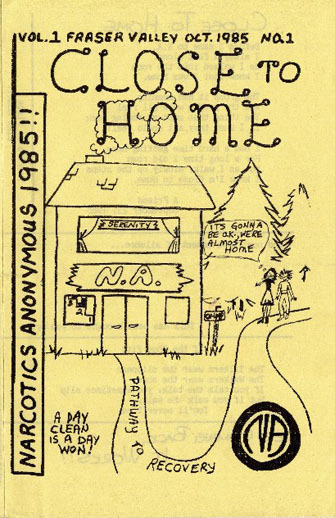 The first recovery meetings in British Columbia for addicts used the name Addicts Anonymous and occurred in the city of Vancouver, British Columbia in the early 1950's. These meetings were connected to a movement that grew out of meetings for addicts at the Unites States Public Health Service Hospital in Lexington, Kentucky in the late 1940's. These meeting died out in the early 1960's because they did not follow the Traditions. 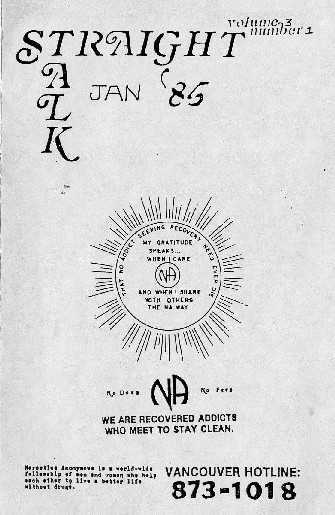 The first Narcotics Anonymous meeting took place in Canada in late September of 1967. It was in Victoria, British Columbia that James D. and Bernard A. began meeting weekly to help each other stay clean. The late 1960's were a time of struggle for the fellowship an in 1967 there were only 15 meetings world wide, with most of them occurring in California. 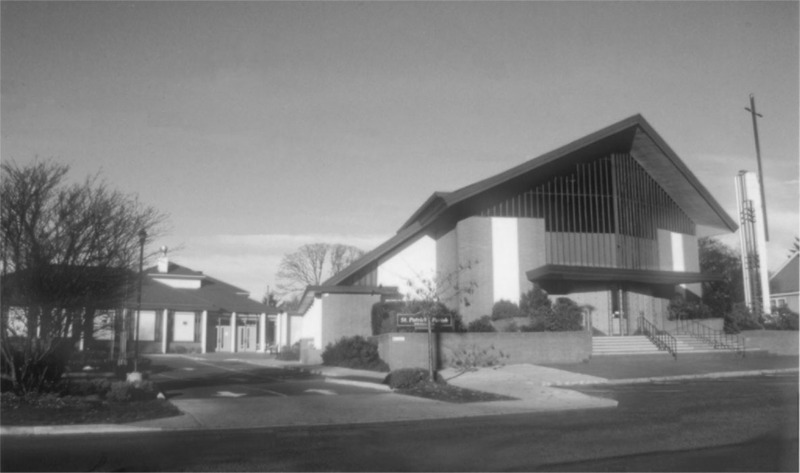 Although the attendance at the Victoria meetings fluctuated, and the locations often changed, by the early 1970's the fellowship had begun to stabilize and it was in 1973 that the The Victoria Area Service committee formed. By late 1979 an N.A. meeting was started in Vancouver, and in 1981 the NA World Directory listed 11 meetings in BC . The publishing of the Basic text was responsible for the rapid growth of NA world wide including BC and it wasn't long before there were several meetings throughout the Province. 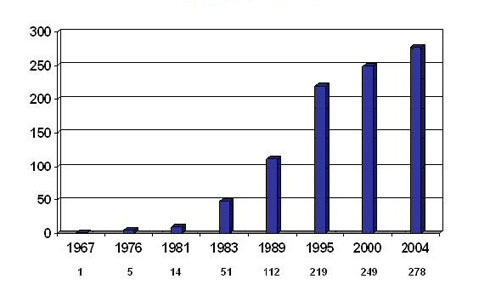 The 1983 the world Directory contained 48 meetings, and by 1989, 112 meetings were taking place in BC. 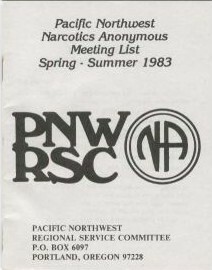 In the early 1980's British Columbia, Washington State, Oregon, and northern Idaho formed what was then known as the Pacific Northwest Region of Narcotics Anonymous. Members from BC and these States met throughout the Pacific Northwest to hold regional meetings.